Is your city killing you? It's a question you might not think to ask, but there are, in fact, a number of places in the U.S. where your health could be in danger. LIVESTRONG.COM reviewed a wide range of statistical data on public health and safety to determine the 21 places around the country where your chances of being sickened, maimed, eaten or flat-out killed increase dramatically. Some states that are repeat offenders on this list include California, Texas, West Virginia, Kentucky, Michigan and Florida. 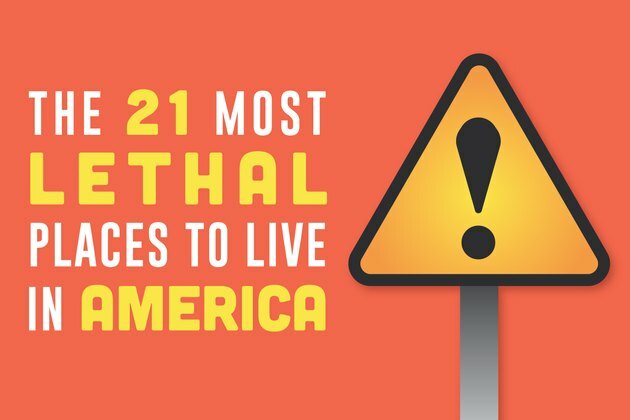 Read on to find out which locations are the worst for killers like pollution, lung cancer and even alligator attacks. 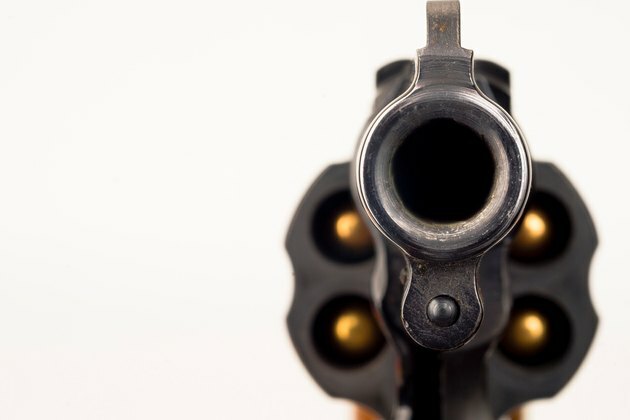 With the highest murder rate, St. Louis is the U.S. city where a person is most likely to end up in a homicide detective's file, according to the Federal Bureau of Investigation. The 159 total reported murders in 2014 was lower than Detroit's 298 murders. Due to St. Louis' lower population, it has a higher per capita rate, but Chicago reported the highest number of 2014 murders overall, and the city may rank higher once the agency compiles 2015 <ahref="http: crime.chicagotribune.com="" chicago="" homicides"=""> </ahref="http:>nationwide stats. So how do you avoid being murdered? There's no easy answer, but violent crimes committed by adults peak at 10 p.m., while violent crimes by juveniles peak in the afternoon between 3 p.m. and 4 p.m. Plan accordingly. 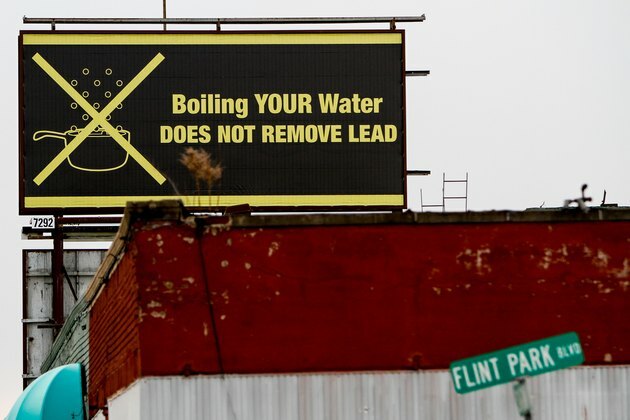 Flint, Michigan, not only scores high on the list of America's murder capitals, it has also been the scene of a highly publicized environmental disaster. In 2011, the state government took over Flint, and new city administrators switched its water supply source to the Flint River to save money -- serving up lead-contaminated water to residents. In 2014, the city's drinking water tested high enough to be considered toxic waste by the Environmental Protection Agency. High blood pressure and other cardiovascular problems, kidney damage and memory and neurological problems are among the effects, according to researchers from Virginia Tech who conducted the water survey. The World Health Organization reports that lead exposure attacks the brain and central nervous system, especially putting children at risk. Scientists now link childhood lead exposure with violent crime -- which may contribute to Flint's future murder problems. 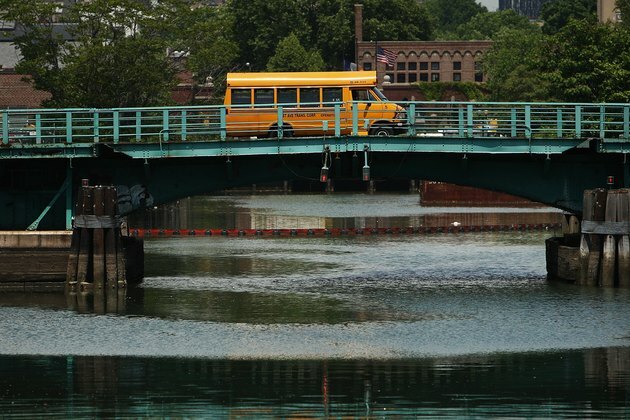 The 100-foot-wide, 1.8-mile long Gowanus Canal in Brooklyn is considered one of the most polluted waterways in the nation. The Environmental Protection Agency added the waterway lined with industrial plants to its National Priorities Superfund list in March 2010, meaning its contents could be harmful to human health and the environment. Not great news for the gentrifying South Brooklyn neighborhood's young families and hipsters. Some of the ingredients in this toxic sludge, according to a Newsweek report: raw sewage, heavy metals (lead, iron, manganese, cadmium and zinc), a who's who of carcinogens as well as arsenic at levels estimated to be 60 times the level considered harmful. Built in the mid-1800s, the canal's cleanup cost is estimated at $500 million. 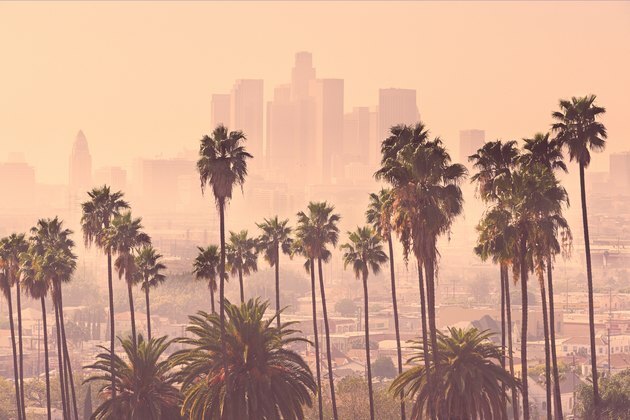 Out of 220 metropolitan areas ranked, the Los Angeles metro area -- with a population of nearly 4 million -- was the worst of the bunch for ozone ("smog") in the American Lung Association's 2015 "State of the Air" list of most polluted cities. Fresno's metropolitan area ranked No. 1 for 24-hour particle pollution and No. 1 for annual particle pollution and ranked No. 4 for high ozone days. Those most at risk for harm from air pollution include children and the elderly, plus people with asthma, chronic obstructive pulmonary disease, cardiovascular disease and diabetes. Risks include low birth weight; a higher chance of heart attacks, strokes and emergency room visits for asthma and cardiovascular disease; and premature death. West Virginia is going up in flames when it comes to tobacco smoking -- not to mention a number of other health problems. The America's Health Rankings 2015 report from the nonprofit United Health Foundation shows West Virginia's population, of which 26.7 percent of adults are smokers, is dead last on the index's All Outcomes group. This ranking includes "premature death, poor mental health days, poor physical health days, cancer deaths, cardiovascular deaths, diabetes, infant mortality and disparity in health status." With 34.3 percent of its denizens sucking down cancer sticks, state capital Charleston ranked the highest for smoking in the 2013 Gallup-Healthways Well-Being Index. Given its legacy as a tobacco state, Kentucky's high lung cancer incidence rate (92.4 per 100,000 people in 2012) is not too surprising. 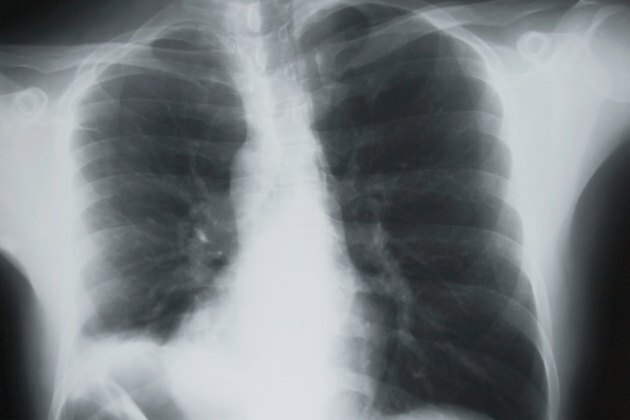 Kentucky ranked highest in lung and bronchus cancer deaths by state with an age-adjusted mortality rate of 68.8, according to the "United States Cancer Statistics: 1999–2012 Incidence and Mortality Web-based Report" released by the Centers for Disease Control and Prevention. Of the state's counties with populations above 100,000, Jefferson County (home of the state's largest city, Louisville) has the highest rate of lung cancer deaths at 59.6 in 2014, according to Kentucky Cancer Registry statistics at Cancer-Rates.info. 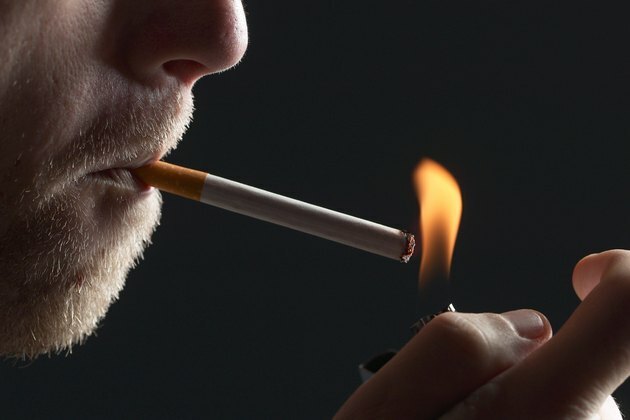 Considering its high percentage of smokers, it's no shock that next in line is West Virginia with an incidence rate of 77.1 and a mortality rate of 59.6 in 2012, according to the CDC report. Kentucky also leads the nation in overall cancer incidence and cancer death rates, at 515.1 and 201.2, respectively, per 100,000 people in 2012, according to the most recent figures available from the CDC. 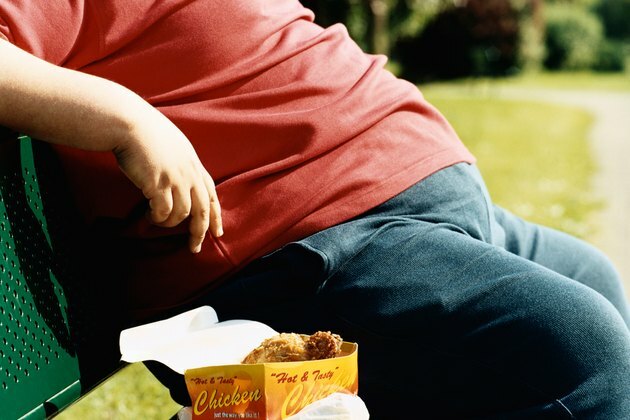 "It's really been driven by three major things: obesity, smoking and lack of screening," Louisville gastroenterologist Dr. Whitney Jones told USA Today. "Our state is completely inundated with risk factors." The impoverished population of Kentucky also tends to work risky jobs in mining and the energy sector that expose workers to carcinogens. Research shows Kentucky residents must contend with high exposure to radon gas, arsenic and chromium. 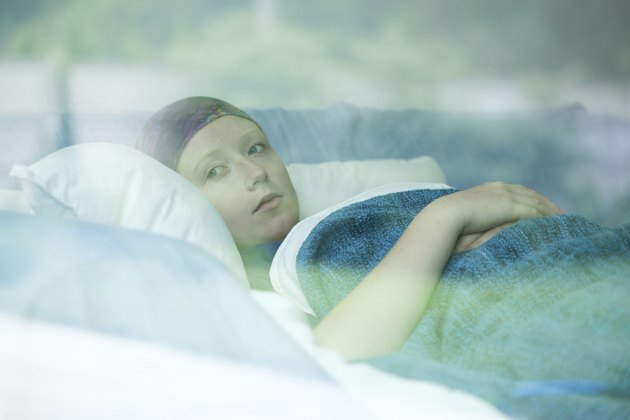 Hardin County (seat: Elizabethtown) led the state's most populated counties with an age-adjusted 2013 cancer mortality rate of 201.6, according to the Kentucky Cancer Registry statistics at CancerRates.info. Jefferson County, home of the state's largest city, Louisville, had the highest age-adjusted cancer incidence rate of 599.8 for the same year. If sitting is the new smoking, then Baton Rouge has an addiction problem. More than a third of the Louisiana capital's residents -- 35.9 percent, in fact -- are obese, making it the fattest city in a 2014 Gallup and Healthways survey of 100 U.S. metropolitan areas. Obese people run a higher risk of health issues like high blood pressure, diabetes, high cholesterol, chronic pain and depression. Gallup and Healthways also note that obese Americans are more likely to have a lower sense of purpose and social, financial and community well-being. The city, home to Louisiana State University and the state legislature, is taking action to combat its ranking with the Healthy BR initiative overseen by the mayor's office. For the record, Colorado Springs had the lowest obesity rate, at 19.6 percent. 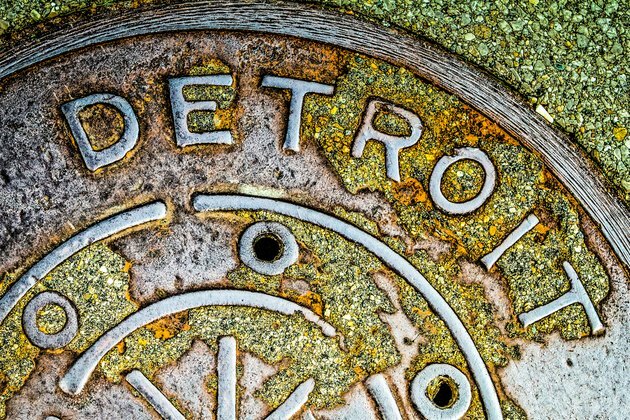 Crime, poverty and stress land Detroit at the top of another list: deaths from heart disease, the leading cause of death in the U.S., according to the CDC. Of cities with more than 100,000 residents, Detroit's heart disease death rate was highest for adults 35 and older from 2011 to 2013. Michigan's Wayne County, encompassing the nation's 18th biggest city, has a heart disease death rate of 495.6 per 100,000 residents. What might contribute to this heartbreaking stat? Forty-eight percent of Detroit's population has an income under $25,000, and Detroit topped Forbes' 2015 America's Most Dangerous Cities list. Things got so bad for Detroit, in fact, that it became the largest U.S. city to declare bankruptcy. Who's at the top of the EPA's Superfund supervillains list? Sadly, choosing a favorite is hard. While New Jersey has the most Superfund sites, California comes in second, with 98, says GoodGuide.com's Scorecard. But it's California national monument Fort Ord on Monterey Bay that covers the biggest geographical area, at 28,800 acres, according to Peter deFur, president of Environmental Stewardship Concepts. 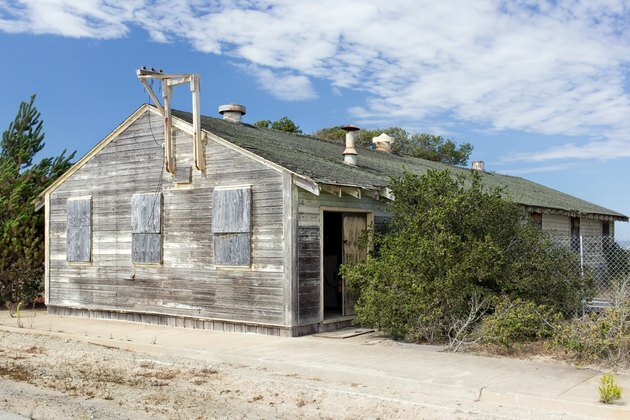 Closed in 1994, it was a military site used for training with highly explosive munitions. Portions of it, however, are now open as public spaces. In 1995, Congress failed to reauthorize the industry fees that fed the Superfund program, so it ran out of money by 2003, requiring that taxpayers pick up the cost. That's right: A bunch of corporate and military polluters have taken a dump in your backyard -- and they left you the privilege of paying for it. But good luck with that lawsuit. Hanford, Washington, is da bomb. Not really, but it did produce plutonium for the U.S. government's nuclear arms for more than 50 years, including the atomic bomb that destroyed Nagasaki. Today, Hanford remains one of the world's biggest nuclear waste cleanup efforts, costing $2 billion per year. The U.S. Department of Energy project even has a website for it: Hanford.gov. It also has its own watchdog group, the Hanford Challenge. Hanford plants disposed an amount of liquid waste equal to five days' flow of the Columbia River, notes the Hanford Challenge. Not to mention the 56 million gallons of radioactive waste in underground tanks. Most of the waste sites have been remediated, and six of the nine plutonium production reactors have been cocooned. 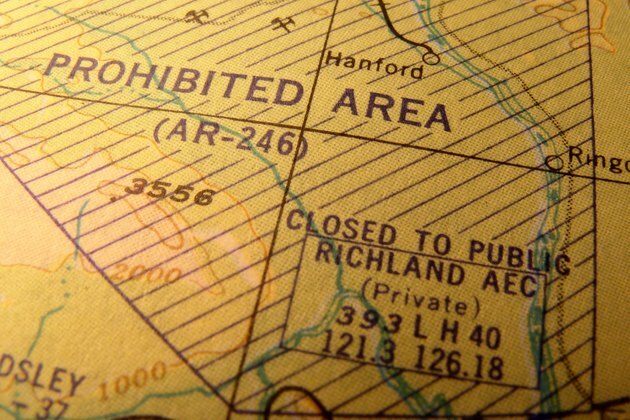 It still, however, leaves Hanford as one of the most lethal places in America. 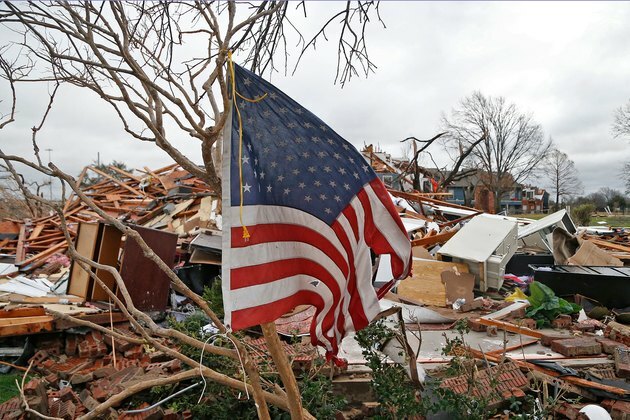 It's not Kansas anymore, it's Texas -- the state with the most weather-related fatalities in 2015, according to the National Weather Service. In that year, 86 people lost their lives in tornadoes and flooding, including 10 that died in tornadoes on December 26 in Dallas. Another 725 were injured in the state, with total damages estimated at $2.6 billion. Meanwhile, Illinois has the dubious distinction of being the most consistently deadly over the past 20 years, with more than 1,300 weather-related deaths in the period. Seeing a green-colored sky full of large, dark, low-lying clouds and a loud roar that sounds like a freight train? Take shelter in a basement or windowless room on the lowest floor of the building, according to the CDC's emergency tips. 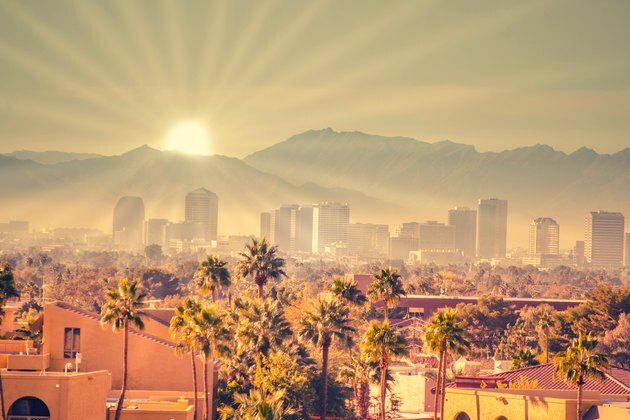 The Arizona Department of Health Services even offers a "Surviving Arizona Summer Heat" guide, which includes tips like limit activity to the coolest part of the day (4 to 7 a.m.); drink at least one quart of water every hour while active between 11 a.m. and 4 p.m.; and avoid foods that are high in protein or salt. 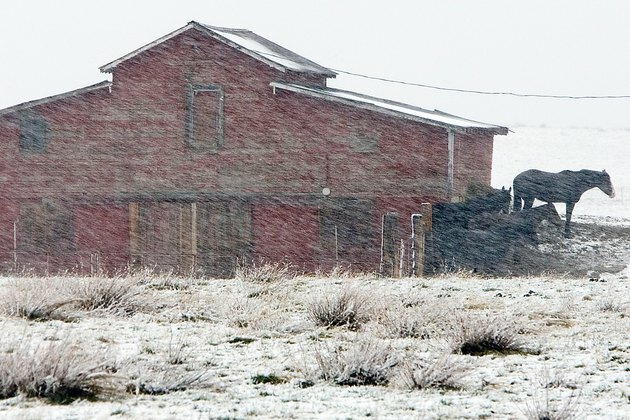 Montana's 14 deaths in 2014 gave it the distinction of the state with the highest rate of deaths resulting from exposure to cold, according to the CDC. Three of those deaths occurred in Yellowstone County, home to Billings, according to the Montana Department of Public Health and Human Services. Given that the December average low in Billings is 13 degrees Fahrenheit, Montana's position is less surprising than the No. 2 state on that list: New Mexico. The Southwestern state saw more deaths in the category -- which has been correlated with the state's high alcoholism rate -- but its higher population put it at a lower rate than Montana. When the temperatures dip dangerously low, keep one room in the home heated to at least 68 degrees, eat high-energy foods and drink warm beverages. Don't panic: The chances of being fatally bitten by a shark are slim. 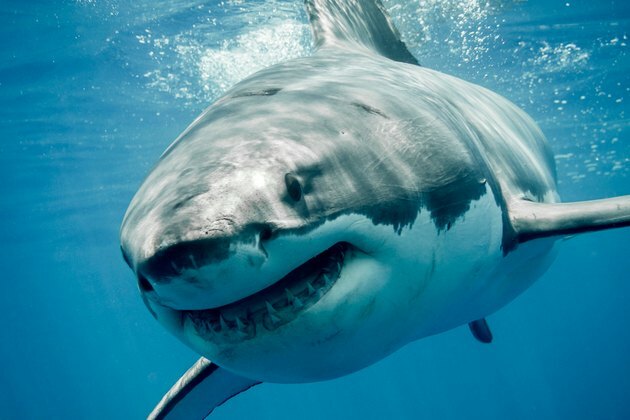 Only 15 of the approximately 750 unprovoked shark attacks in the U.S. since 2000 have been fatal, according to the Global Shark Attack File maintained by the Shark Research Institute. If you want to tempt fate, head over to Volusia County in Florida, home to Daytona Beach. Actually, none of the area's 191 shark attacks in the past 16 years have been fatal. Death by shark has actually happened more frequently in California, but, per mile of coastline, Maui has had the most fatal attacks since 2000. The most important tip in fighting off a shark attack is to aggressively defend yourself by punching the shark, gouging its eyes or clawing at its gills. Gators have nothing on motor-vehicle accidents, which kill thousands of Americans a year. Of 340 attacks between 1948 and 2006, only 17 resulted in human fatalities, says a guide prepared by the National Wildlife Control Training Program. But if you want to steer clear of the jaws of death, stay the heck out of Florida, where most attacks occur. 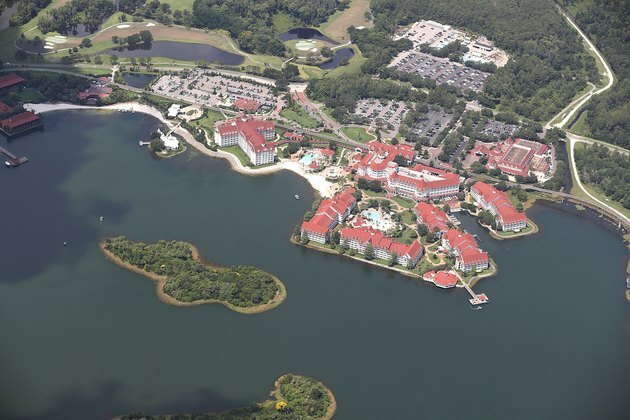 Two of three fatal attacks in 2015 occurred within 75 miles of Orlando: One was an unlucky 62-year-old swimmer, and the other was a 22-year-old suspected burglar hiding from police in a lake. "If an alligator bites your arm, it may help to grab the alligator and roll with it to reduce tearing of the arm," the NWCTP advises. "Strike the nose of the alligator hard and often, and try to gouge the eyes." In other words: Fight like hell. The U.S. is home to some fierce wild animals, including mountain lions, bears, wolves and bison -- which can actually gore and crush you when agitated. But fatalities resulting from dog attacks are much more frequent. 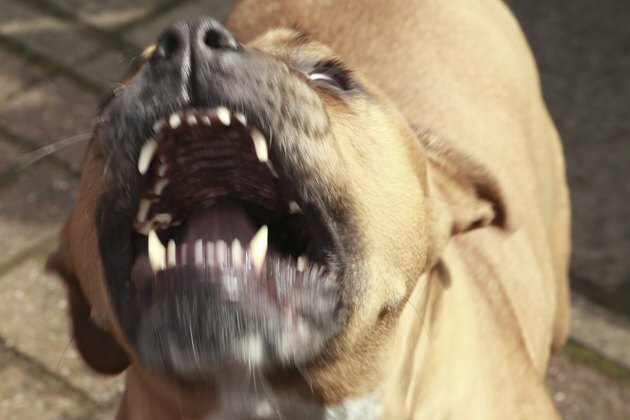 Nonprofit organization Dogsbite.org reports that in 2015, 34 dog attacks resulted in human death. From 2005 to 2015, Riverside County, California, and Harris County, Texas, had the highest number of fatalities, with seven each. Newborns, infants and toddlers made up 28 percent of all dog-bite fatalities, more than twice the number of the 3 to 9 year olds, notes the organization. The Humane Society advises against screaming and running away if you feel threatened. Remain motionless, keeping your hands at your sides and avoiding eye contact with the animal. Put the brakes on, Fort Lauderdale. 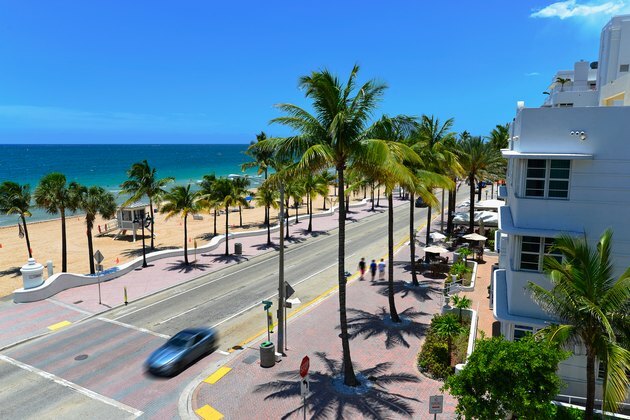 According to recent National Highway Traffic Safety Administration data, in 2014 the sunny beach city had 25 motor-vehicle-related fatalities, including 12 pedestrians, causing it to have the highest rate in the country. New York had the highest number of fatalities with 248, followed closely by Los Angeles and Houston. And the place you're most likely to be walking down the street and hit by a vehicle is Detroit, where 40 pedestrians lost their lives in 2014. 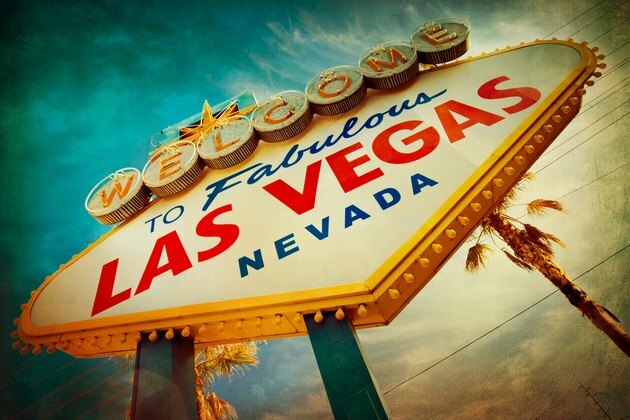 What happens in Vegas stays in Vegas -- until it becomes a horrific national statistic. With 17.9 suicides for every 100,000 people, Clark County, Nevada, home to Las Vegas, has the ignominy of being the suicide capital of the United States, based on figures from 1999 to 2014 reported by the CDC. Another statistic: The Las Vegas Convention and Visitors Authority estimates 42 million people visited the U.S. gambling capital in 2015. Here's a little gambling tip for you: Don't bet your life on anything. Finally, the state where the most people die each year -- period: Welcome to Mississippi. The nonprofit Kaiser Family Foundation reports that the state had 937.6 deaths per 100,000 people in 2014. Hinds County, home to state capital Jackson, reported 2,152 deaths in the year, according to the state's Department of Health statistics. Nearly a quarter of those deaths are attributable to heart disease, with another quarter coming from malignant neoplasms (cancer). Perhaps the poor health contributing to the high mortality rate starts at an early age. 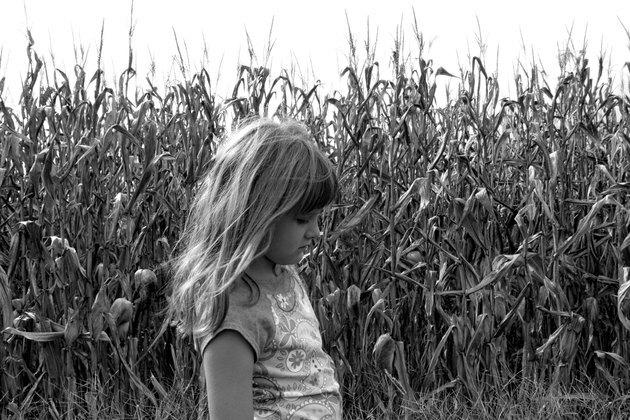 In 2015, the state ranked the lowest for children's well-being in the Kids Count report from the Annie E. Casey Foundation. Do any of these statistics surprise you? Do you live in any of these places? Are there any that you think we missed that should be on this list? Share your views in the comments!